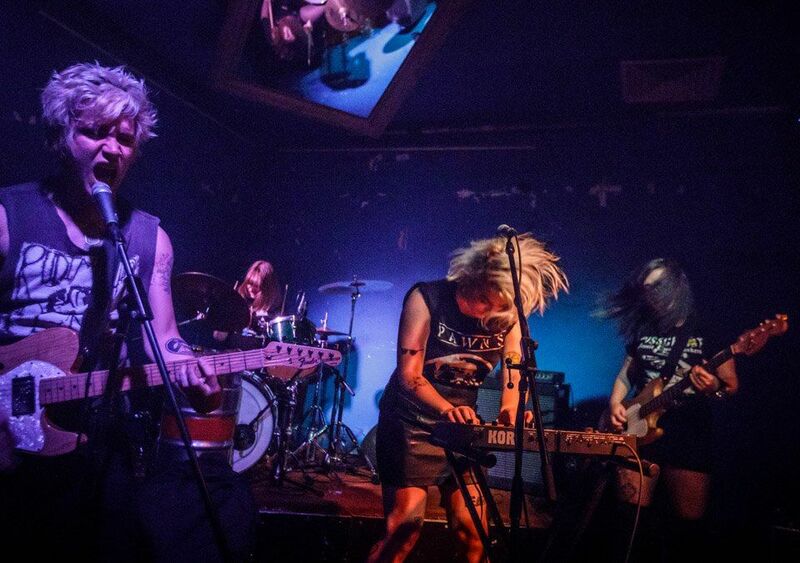 Formed in 2013 in Melbourne, Australia, Masses feature Nellie Pearson (vocals and synth, she's previously appeared on this blog with her other band, Ubik), James Blake (vocals/guitar), Tessa Tribe (bass and also a member of Ubik) and Ash Wyatt (drums). James and Tessa are also in a new band called Terremoto. Tagging themselves anarcho/post-punk/goth they combine politically motivated themes with darkly morose melodies. I can sometimes take or leave this kind of moody, atmospheric music but Masses have an urgency about them and are one of the bands that I can buy into.